Ruby Wing Color Changing Nail Polish With SolarActive® Technology! Ruby Wing color changing Nail Polish. Simply Extraordinary! Description: Formulated and bottled in New York City, every Ruby Wing™ polish is completely non-toxic, environmentally safe, and 4-FREE (no harsh chemicals like toluene, formaldehyde, camphor, and DBP). Plus, they’re vegan, and never tested on animals. Your life is full of variety and change. Shouldn’t your nail polish be, too? Ruby Wing color change Nail Polish is available in 18 Fabulous color changing shades. Try them all! $12.00 retail Free gift with purchase! 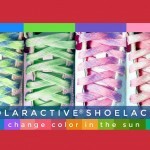 Shoelaces that change colors in the sunlight! Today is Ruby Blues day! 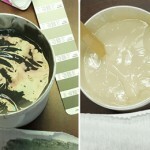 SolarActive® Color Change Screen Printing Inks, The Deepest Colors Yet! 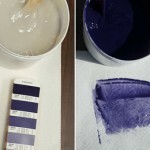 How to turn 18 Colors into 36!